Everyone enjoys a good sequel to a film, television series, or even a great book they've enjoyed getting into, right? So, everyone must enjoy a good sequel to an online casino game that they've enjoyed winning big prizes from, right? Yeah, we're the same here at Easy. view more! 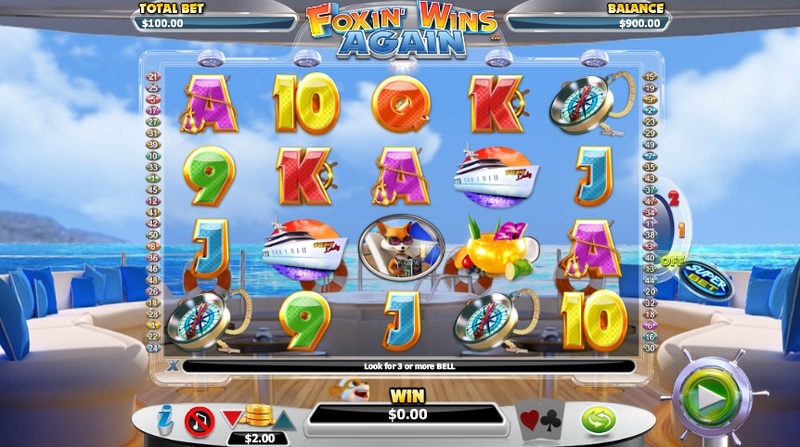 If you are familiar with one of NextGen's previous slot game, Foxin Wins, then you're going to love Foxin Wins Again. The main character's life has changed a little bit since he now has 5 cute little pups, but all for the better, as his pups will help get the winnings that you want to gain from this slot! play today! If there's one thing that you should know about NextGen, it would be that they're one of the only gaming developers out their that you can put your trust on when it comes to getting big payouts. Established in 1999, around the same time that video poker and online uk slot games started to gain awareness, NextGen has made a name for itself within the industry. And just because its quite an old brand, it doesn't mean that all of their games contain obsolete features. With the amount of work that they put into each of their games to make them adaptable to any device that people use today, you can be sure that you can access and play Foxin Wins Again wherever you are. If you don't think so, have a look at the reviews of some of their previous games such as Eastern Dragon, Emperor's Garden, and Blood Lore Wolf Pack! Check out our slots bonus here. If you're one who dreams of being a fancy yacht with the sun shining outside at least once in your lifetime, you'll get the chance to grasp that experience when the slot game loads and you see that dream setting behind the 5x4 fixed reels. The base symbols are represented as the traditional symbols that you would find on most slot games. The A, K, Q, J, 9, and 10 are the icons that give you the low payouts. The fancy cocktail drink, the compass, the yacht, and Mrs Foxin relaxing on a chair with her bikini on! If you know anything about Foxin in the previous game, then you will know that he's always full of surprises, with all of the special symbols that he can throw onto the reels. • Foxin WILD: This symbol substitutes all of the symbols except for the Bell SCATTERS. • Bell SCATTER: If you find 3 or more of these symbols in a matching combination on the reels, you'll activate the Free Games BONUS FEATURE. • Free Games BONUS FEATURE: With this feature, you'll receive 10 free games with a chance to double your prizes. • Super Bet: Fox pups can come onto your reels at any time in the base games. If you activate this feature, more pups will jump across your screen and turn some of the symbols into WILDS. The number of reels the pups can jump on depend on how much you bet. It's good to mention that all of the payline and SCATTER wins are multiplied by the bet per payline...pretty good, right? NextGen has done a terrific job in creating a sequel to one of their most loved online slot games. No one could be able to turn away from all the cute little fox puppies running around their screens after they've just got back home from work. 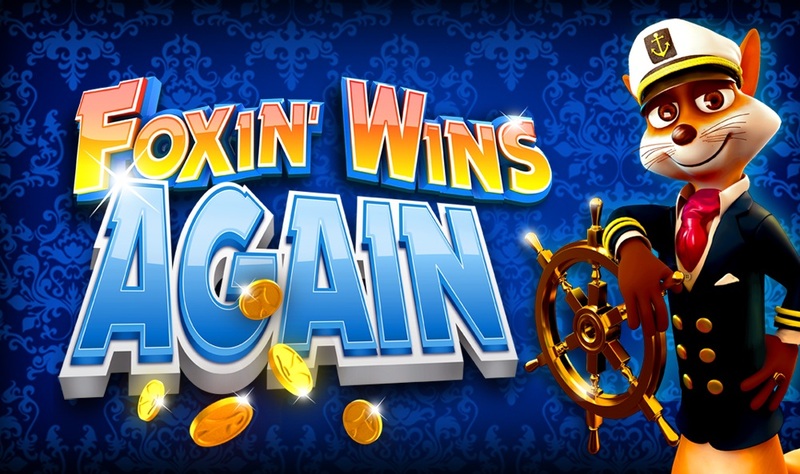 And with the large number of instant prizes, winnings, and payouts that you can get, what other online casino game could be better than Foxin Wins Again? 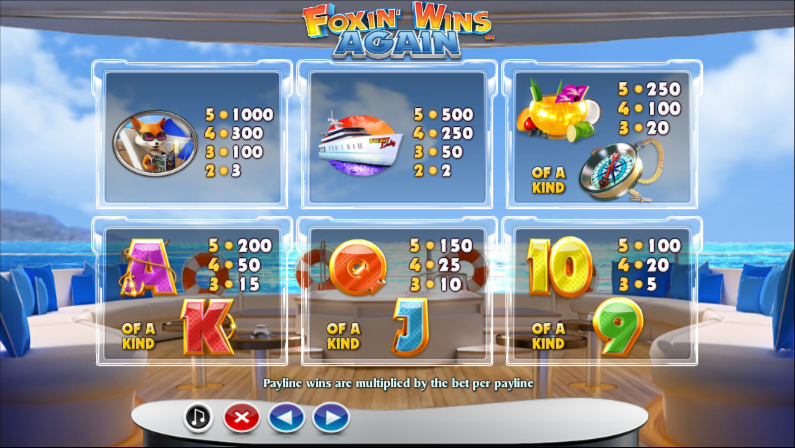 If you liked Foxin Wins Again then you might also like to try another online slot, visit the site now.